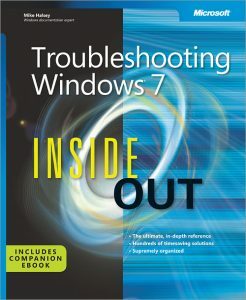 You’re beyond the basics, so dive right into troubleshooting Windows 7 — and really put your PC to work! This supremely organized reference describes hundreds of prevention tips, troubleshooting techniques, and recovery tools in one essential guide. It’s all muscle and no fluff. Discover how the experts keep their Windows 7-based systems running smoothly — and challenge yourself to new levels of mastery.